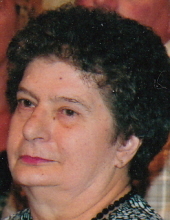 Elaine F. Dufek, 85, Algoma, passed from this life on Sunday morning, Jan. 20, 2019 at the Door County Medical Center Skilled Nursing Facility with her children by her side after a courageous battle with cancer. She was born October 25, 1933 in Algoma, the daughter of Anton and Frances (Wortiska) Steiner. Elaine graduated from Algoma High School, upon completion, she worked on her parents family farm. She had a true love for the land and country living. She married Jerry Dufek on July 28, 1958 and they purchased a small farm of their own and pursued their dreams together. They shared 42 years of life together. Elaine's full-time job was being a mother, grandmother and farmer's wife. She was always working hard, taking care of the children, then grandkids and always working on the farm. She enjoyed cooking, canning, gardening, reading and doing word puzzles. She also enjoyed crafts and sewing (somebody always had something to mend and she could fix just about anything). In her younger years, Elaine and Jerry loved to polka dance and were so smooth and graceful on the dance floor (when the knees permitted). She loved a good game of sheepshead with her family and long phone conversations when visiting in person didn't permit. There were many conversations with her daughters about cooking, new recipes and cookbooks. She taught all of her children the old world ways which developed our love for cooking. Thank you for that. She took great pride in her grandchildren and now her great grandchildren. They could always count on her to cook or bake their favorites. They could even phone in lunch requests to Grandma and she would have it ready for them on lunch breaks. She loved a good campfire, side pork on the fire pit and a good glass of wine. But mostly she loved spending time with family. Family and friends may call at the SCHINDERLE FUNERAL HOME, Algoma, Thursday Jan 24, 2019 from 3 PM until the time of services at 7 PM with Robert Steiner officiating. Burial in the Evergreen Cemetery. The Dufek family wishes to extend a special thank you to Door County Medical Center Skilled Nursing Facilities staff for all their care and support through her stay. The staff is truly special. Mom, grandma, great grandma, we love you and miss you. Your passing will be a void in our lives. We know you are now feasting in Heaven and polka dancing with our father. You will be in our memories and hearts forever. To send flowers or a remembrance gift to the family of Elaine F. Dufek, please visit our Tribute Store. "Email Address" would like to share the life celebration of Elaine F. Dufek. Click on the "link" to go to share a favorite memory or leave a condolence message for the family.